This extensive survey of consonant harmony in the world’s languages reveals surprising diversity in the featural dimensions involved, and uncovers new empirical generalizations and tendencies. Striking parallels with phonological speech errors suggest a connection to the psycholinguistic domain of speech planning. 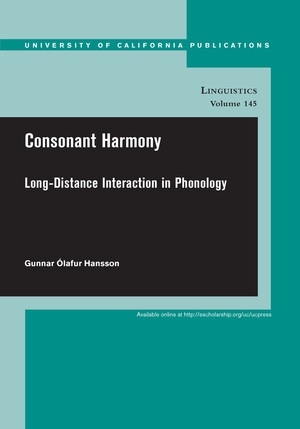 An Optimality Theory analysis of consonant harmony as long-distance featural agreement, rather than feature spreading, is developed in detail. Gunnar Ólafur Hansson is Associate Professor of Linguistics at the University of British Columbia, Canada. He specializes in phonology, the study of sound patterns in natural languages and of language users’ implicit knowledge of such patterns.